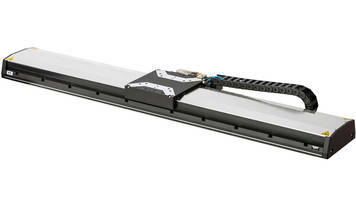 PI V-738 XY features a 3-phase brushless linear motors and optical linear encoders. The features provide velocity control, position resolution down to 1 nanometer and better orthogonality and straightness. The V-738 has applications for laser machining, medical manufacturing, optical scanning, bio-nanotech, metrology, automated optical inspection and microscopy. The V-738 XY linear translation stage is a computer controllable, two axis high-precision, positioning system with a clear aperture. The V-738 XY translation stage is designed to meet the highest positioning accuracy demands, for applications such as industrial automation, laser processing and flat panel display test and manufacturing. The mechanical design is based on a three piece arrangement for improved geometric performance. In contrast to XY-stage assemblies where two single axis translation stages are bolted together, the integrated, planar design of the V-738 provides better orthogonality (<100µrad) and straightness/flatness (2µm). 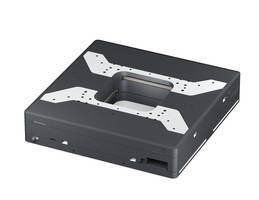 Due to the improved support, planar XY tables are stiffer and flex less compared to XY-combinations of single axis linear stages, especially when the individual axes are moved to their extreme positions. 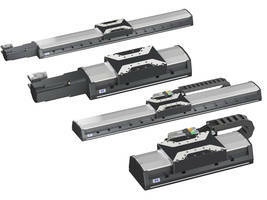 3-phase brushless linear motors drive both axes, transmitting the drive force (200N peak) to the motion platform directly without friction. The ironless motors provide smoother running with better velocity control due to the lack of cogging effects caused by permanent magnets. Acceleration of 1G is achieved with maximum velocity of 0.5m/sec. 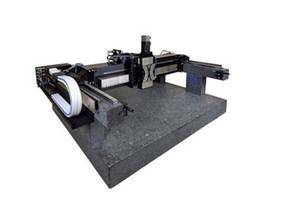 The XY-travel range is 100mm per axis. Other members of the V-7 series include the V-731 XY stage with 200x200 mm travel and the V-741 XY stage with 300x300mm travel. 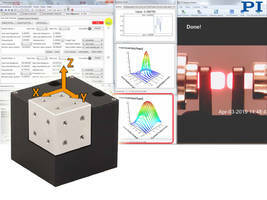 Integrated optical linear encoders provide position resolution down to 1 nanometer - the mechanical position repeatability is 0.1µm and minimum incremental motion of 20 nanometers is achieved. 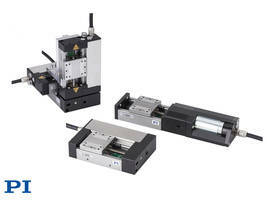 A variety of precision motion controllers are offered, from modular to bench top devices. For the highest performance, PI recommends ACS product line of EtherCat compatible precision motion controllers. Laser machining, high-accuracy medical manufacturing, optical scanning, bio-nanotech, metrology, automated optical inspection, microscopy.